We design and manufacture a wide range of heaters and coolers, both plates or tubular versions to meet food industry needs. Depending on the product to be treated and flow rate to process, plates are used with variable geometry to minimize the fouling factor, optimize the heat exchange and energy consumption both for heating or cooling. 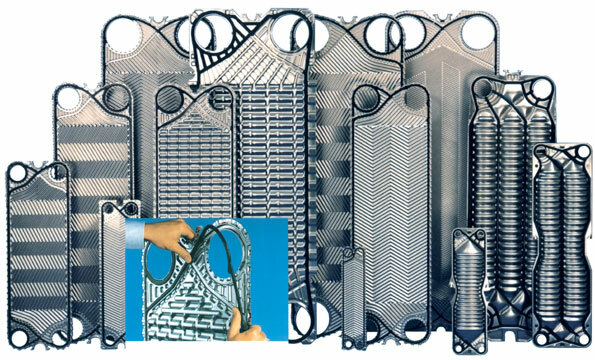 Tubular heat exchangers are of shell and tube type, mono or multi-tube version, depending on type of product to be treated. In the product side are always used pipes with corrugated design for optimal heat exchange efficiency. They are entirely manufactured in stainless steel with a production range that may varies from 1000 to 40,000 liters/hour. Heat exchangers are supplied pre-assembled and tested on stainless steel frame to reduce space and installation time. Thanks to the experience acquired over the years by our Technical Division, customized solutions to specific project needs are also available.